Admittedly a historical view on beer in Newfoundland is not the place to talk about beer news or contemporary beer events. 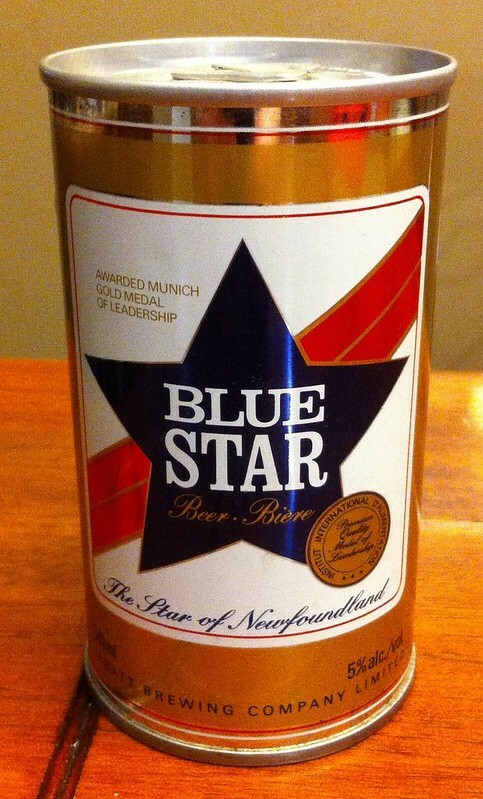 For something like that, well, see the excellent Atlantic Canada Beer Blog. This one development, however, merits a little note. The creation of a specialty order beer club in Newfoundland, called Beer Thief, is something pretty special. While most readers of this blog have likely read the number of news reports about the club, here I’d like to point to the beer community which the club has fostered. Black Horse Can, Steve Shorlin 2013. 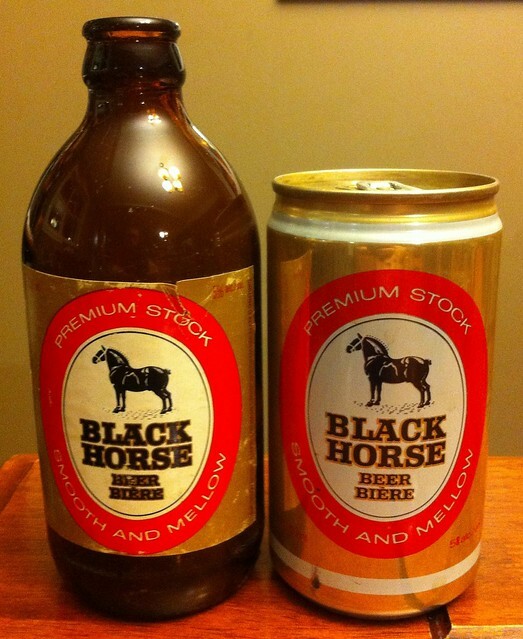 In short, the Beer Thief club was founded by Mike Buhler, a Newfoundland-based level-2 Cicerone, and Tom Beckett, an important figure in the better drinking world in Newfoundland. They work to connect breweries to Newfoundlanders who normally cannot access things outside the NLC’s limited selection. Thus far they have facilitated private orders from breweries like Dupont, Dieu Di Ciel, Les Trois Mousquetaires, and Propeller, bringing styles like IPAs, Saisons, Imperial Stouts, Kellerbier, and Triples into the province for the first time – maybe ever – without a suitcase. As a fan of Newfoundland beer, this is pretty amazing stuff. Blue Star Can, Steve Shorlin 2013. One of the key developments has also been the community which has developed around the club on their forum, where Newfoundlanders meet to discuss better beer, homebrewing, and ways to improve the province’s beer scene. All I want to do here is point you, dear reader, towards them. If you are reading this, you likely care something for beer in Newfoundland or are planning a trip to Newfoundland. The BeerThief forums are perhaps your best resource to ask questions about where to drink or what to do related to beer. Plus, now that Muskoka Brewing has started distributing to NL, it’s a great time to be a beer enthusiast in Newfoundland. So get involved! 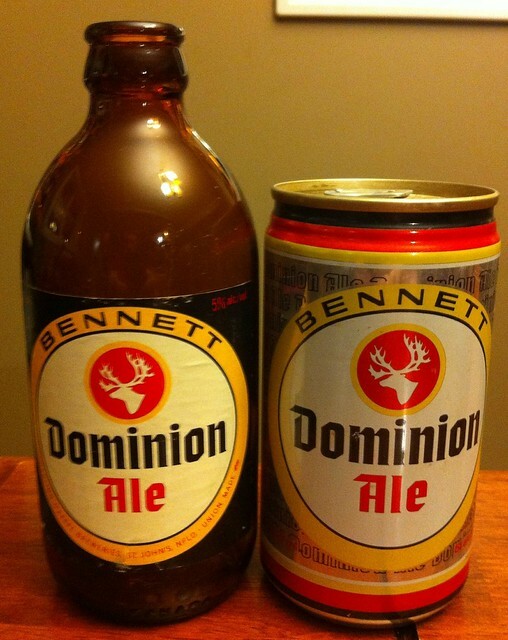 Dominion Ale Can, Steve Shorlin 2013. 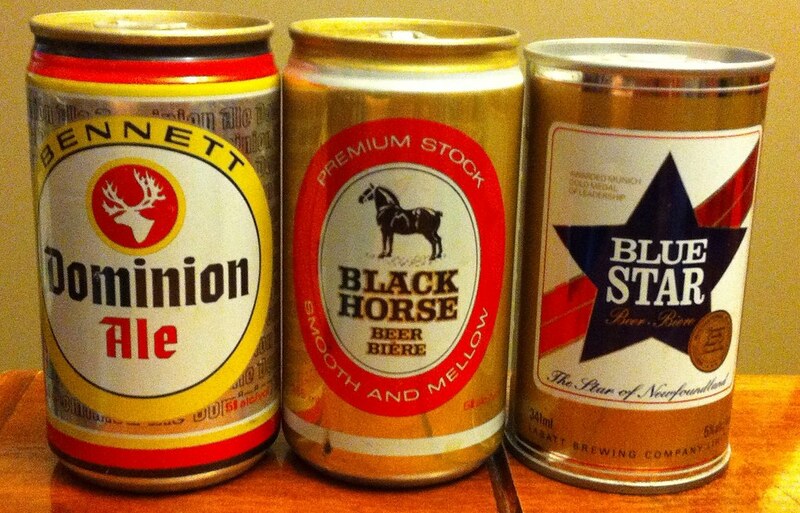 Newfoundland Beer Cans, Steve Shorlin 2013. If you’ve been to Newfoundland you’ve likely taken note of a fairly strong connection to British and Irish traditions within the province’s music, culture, and perhaps even in its beer. Popular places to grab a pint are regularly decked out in Irish garb – places like Bridie Molloys, The Republic, or Christians to name a few – or, like the famous Duke of Duckworth, more grounded in the British pub experience. But what about Newfoundland beer? In this post, a reappraisal of Webb and Beaumont’s classification of Newfoundland as having weak “British Traditions” in the light of the history of German-Newfoundland brewmasters.